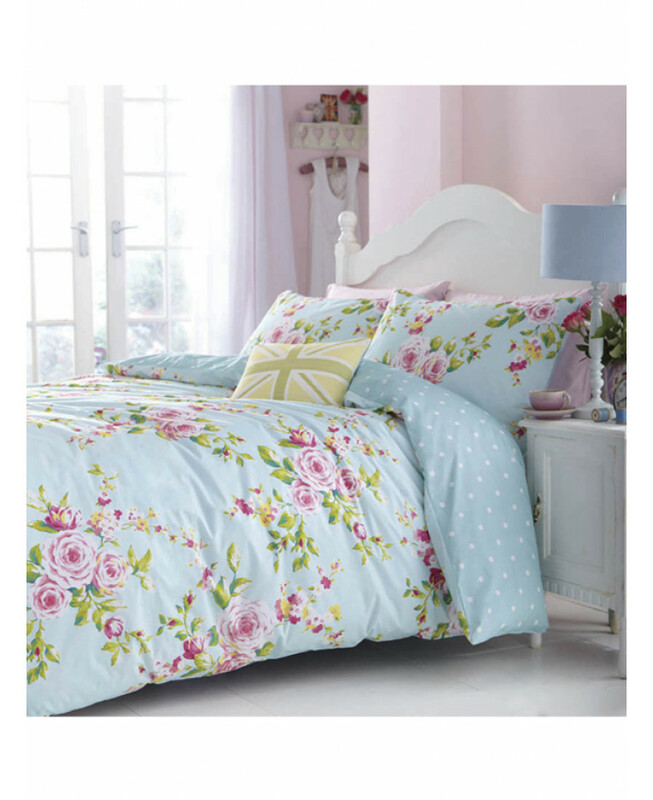 This gorgeous Catherine Lansfield Canterbury Double Duvet Cover Set will add a stylish finishing touch to any bedroom. 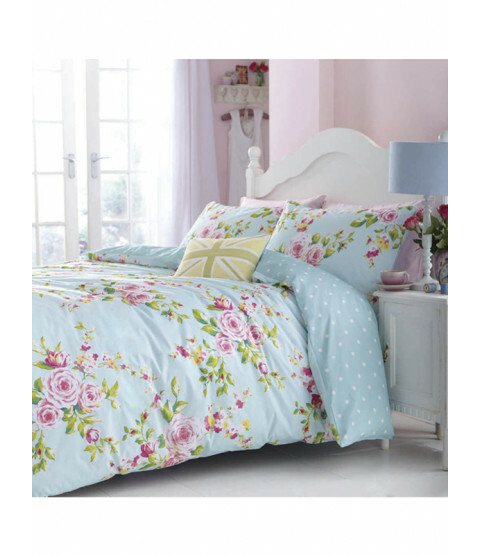 The reversible duvet cover features a delicate pink rose design on a pretty duck egg blue background on one side, with a white polka dot pattern on the other, giving you two great designs to choose from. Made from a Polycotton blend, this bedding set can be machine washed and tumble dried on a cool setting.